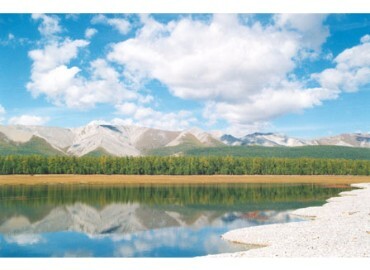 The Khuvsgul is a land of thick forests, rushing rivers, sparkling lakes, rugged mountains and endless taiga. While the Khalkh dominates the south, there are also pockets of minority ethnic groups, including Uriankhai, Khotgoid and Darkhad people. The jewel in Khuvsgul‘s crown is the region’s most dramatic geographical feature and a magnet for visitors, the enormous Khuvsgul Lake. 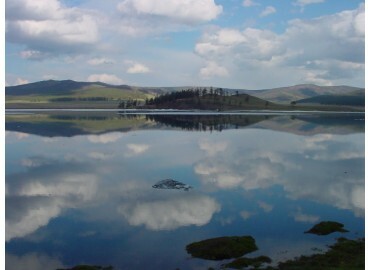 Khuvsgul Lake, the Blue Pearl of Mongolia, contains 2% of fresh water reserves in the entire planet. It is a vast expanse of clear, pure water that is surrounded by high mountains and vast forests which is a paradise for fishermen and horsemen. The lake is full of fish, such as lenok and sturgeon, and the area is home to argali sheep, ibexes, bears, sables, moose and a few near sighted wolverines. Amarbayasgalant monastery (310km / ± 6:30 am) Next we will approach the vast landscapes of the Mongolian steppes and visit the “Amarbayasgalant” monastery, meaning “Peaceful bliss”, one of the most beautiful monasteries in Mongolia and a very popular place for pilgrimage. . . We will eat lunch and dinner in the steppe, and camp overnight. Erdenet city and Uran – Togoo mountain volcanoes (210km / ± 5h) After taking a short stop in Erdenet city, the second busiest city in Mongolia revolving around one of the largest copper mines in Mongolia, we will reach the Uran – Togoo Nature Reserve where an extinct volcano sleeps. After a vigorous hiking adventure, we can enjoy the reserve’s beautiful panoramic views. We will have a lunch and dinner at a scenic location, and camp overnight. Bai Bulag – Murun (280km / ± 7h) We start the day by walking through the ruins of an ancient cultural and commercial center of the Silk Road and Uyghurs in the 9th and 10th century. Later, Mongolians built a monastery inside the walls of Uyghur, so it is now called Bai Bulag. We finally stop at Murun, the administrative center of Khuvsgul province, to discover the lifestyle of the inhabitants by visiting local markets and museums. We will have a picnic for lunch and dinner, and spend the night in a local family’s yurt. Khuvsgul Lake (30km locally) Here we are at the Blue Pearl of Mongolia… Khuvsgul Lake, an extraordinary lake that is the deepest (up to 262m) and the second largest lake in Mongolia. It stretches 136km deep into the Siberian taiga! It is the little brother of the Russian Baikal which alone contains 2% of the world’s fresh water reserves. Now we are in the middle of the taiga – Mongolian Siberia, an extension of the primary Russian Siberian forest. 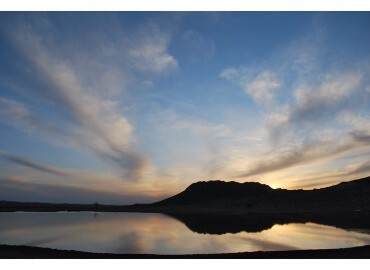 We reserved two days to experience this wonderful scenery. Why not enjoy our extra time by riding a horseback or even taking a dip! On the way back to Murun, we will visit the Uushigiin uvur, a site of emplacement of sacrificial mounds (“khereksuur”), “deer stones”, carved standing stone that date to the mid- Bronze Age between 1500 and 800 BCE. These feature images of deer fleeing from their pursuers and hunters are often depicted with bows and arrows chasing them. There are around 700 deer stones that are known to exist worldwide, 500 of them are located in Mongolia; and the best collections of these are on display here in Uushigiin Uvur. We will eat lunch and dinner in the steppe, and camp overnight. Jargalant (270km / ± 7h) Today we will go for a little walk to the Gelenhuu’s cliff to take a view of the surrounding hills and enjoy the panorama of the Ider River. The cliff is named after Gelenhuu, who attempted to fly with a set of sheepskin wings from this 170m cliff. Fortunately for him, he had been prudent enough to drive his sheep to the foot of the cliff before jumping off into the abyss. Luckily, he got away unharmed. 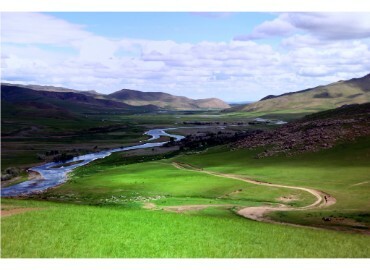 We will have a lunch and dinner in the steppe, and camp overnight. Terkhiin Tsagaan Nuur (90km / ± 3 hours) – Chuluut river (60km / ± 2h) Then we will travel to the shores of Terkh Tsagaan Nuur (“White Lake”) and go hiking to the Khorgo volcano crater, an extinct volcano surrounded by an area of cooled lava rock. To the east of White Lake, there’s an impressive canyon named Chuluut River (deep up to 200 / 250m). The river flows through a basalt canyon which extends 100 kilometers from the mouth of the Teel River to the Atsat. The basalt is formed of lava from nearby extinct volcanoes, such as the Khorgo volcano and many others. The road is difficult but we will still manage to set up our camp in a magnificent site, at the junction of the Suman and Chuluut rivers, and at a canyon you can go down. Have a lunch and dinner in the steppe, and camp overnight. Tsetserleg – Tsenkher (165km / ± 5h) Next we will go through the small town of Tsetserleg, the capital of Arkhangai province. It has a lot of volcanic mountains, rocks overlooking Buddhist paintings and petroglyphs, and an Ethnographic Museum, which is housed in the former monastery. It is definitely worth a small detour. We end our day at Tsenkher in the forested hills, where our yurt camp managers will be preparing a nice surprise for us: this volcanic region produces a complex hydraulic system which allows us to enjoy the hot springs of this site… It will have an Indoor or outdoor pool depending on the season, a nice break to relax! Have a lunch and dinner in the steppe, and sleep overnight in a yurt camp. 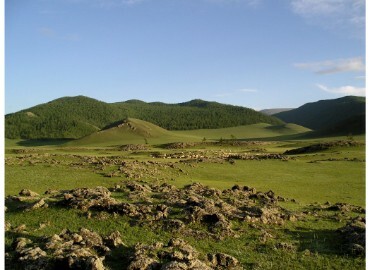 Orkhon Valley (210km / ± 5h) This time, we will start our exploration from the Orkhon Valley, one of the few sites in Mongolia listed in the World Heritage List by UNESCO. 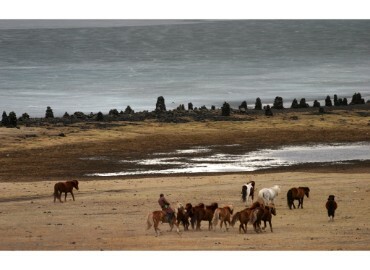 For many centuries, this valley was viewed as the seat of the imperial power of the steppes. The evidence for this belief comes from the stone steles, graves, anthropomorphic and zoomorphic statues, ruins of ancient capitals… Then we head to our geolodge which is nestled in the heart of the Orkhon Valley. At nightfall, we will have an opportunity to observe a starry-filled sky with a powerful telescope. Have a lunch at beautiful scenery location, and eat dinner and sleep overnight in a charming yurt. Karakorum – Khogno Khan (220km / ± 4h) This morning we’re off to Karakorum, the capital of the ancient Mongol Empire, built by Genghis Khan in the 13th century. After visiting the first Buddhist monastery – Erdene Zuu, the oldest and largest monastery in the country built in the 16th century on the ruins of Karakorum city, we continue our journey to the sacred mountains of Khogno Khan Natural Reserve, where scenery is a perfect combination of desert, picturesque mountains, river and green grassland. Also, Erdene Khamba and Ovgon Khiid monastery are located near Erdene Zuu. In Khogno Khan Natural Reserve, there is an extraordinary sand dune called Elsen Tasarhai, a part of the Great Mongolian Sand dunes, which extends about 80 km. We will have a picnic for lunch, and eat dinner and sleep overnight in a charming yurt. Ulaanbaatar (280km / ± 4h30) Finally, back to Ulaanbaatar, you can do some shopping and buy souvenirs such as cashmere and garments that are well-known for their beauty and quality. Then we’ll end our last evening with a magnificent folk show of traditional songs and dances, and dine together in a fine restaurant. We will sleep overnight at a hotel.